We teach utilizing the classical method, equipping students with the ability to think and learn for themselves by empowering them with the tools of learning. The student’s whole person is shaped as he interacts with great thinkers and writers of our past, studying language and humanities, math and science, and the arts. The substance of classical education is the liberal arts curriculum. Liberal comes from the Latin word “liber,” meaning “free.” To the ancient Greeks and Romans, free citizens required an education that cultivated their minds and equipped them to contribute to their society in a positive way. Medieval scholars expanded this idea by seeing these liberal arts as preparation not only to create rich minds and souls for this life, but also to cultivate citizens in God’s eternal kingdom. Our elementary education emphasizes core knowledge of each subject through intensive instruction in phonics and reading, development of key writing skills, and mastery of language arts, math, science, and Bible. As students mature into middle and high school the focus shifts to critical thinking, effective communication, and analysis of great ideas across all subjects. This kind of education has produced many great leaders and thinkers throughout the centuries. The heart of our school and its culture is Christ; thus the teaching of God’s Word is central. This means our students receive more than academics. They are discipled in the joy and salvation connected with a Christ-centered life. The Bible teaches that the fear of the Lord is the beginning of wisdom and knowledge. We believe, therefore, that every aspect of a child’s education needs to be intentionally grounded in the historic Christian faith. Rather than confining Christianity to one Bible class, we teach students to view every subject through the lens of Scripture. Through this intellectual and spiritual integration, our students develop a comprehensive framework of how to view the world that is firmly grounded in God’s Word and anchored in a relationship with Christ. At the core of our philosophy of education is the conviction that parents are ultimately responsible for the education of their children. We strive to support your home and family and respect parental authority and responsibility in all we do. Therefore, we want parents who are deeply engaged in their children’s education. Excellent communication between parents and teachers is key. We want to communicate well with you and in turn ask that you communicate well with us. We also want families who will be plugged into the culture and community of the school. Our close-knit community is part of what makes Paideia so special. Paideia students of all ages have strong academic test scores. Our graduates are going to the colleges of their choice, often at top scholarship levels. But we feel our greatest measure of success is that they are well prepared for these next steps and are finding that the roots of their faith continue to deepen instead of withering away once they leave home. 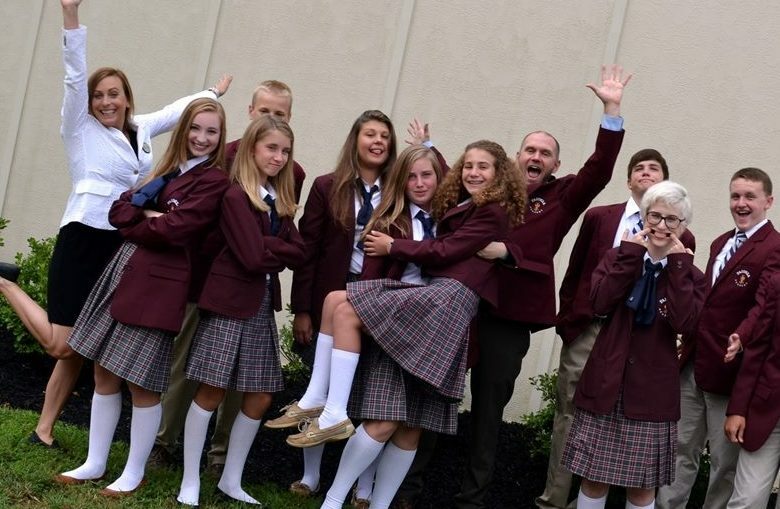 Though the only school of its kind in the Knoxville area when it began in 2004, Paideia Academy is part of a larger movement that is enjoying somewhat of a resurgence nationwide. The Association of Classical and Christian Schools (ACCS) currently has more than 250 member schools serving over 50,000 students. These schools are being recognized academically as institutions with excellent test results and exceptional college-preparatory programs. Before the ACCS had a body of school-performance data for its members, Gene Edward Veith, Jr. and Andrew Kern wrote in their book Classical Education: The Movement Sweeping America (Capital Research Center, 2001), “By all available measurements, the ACCS program is an astonishing success.” Current data would seem to support this early endorsement (see SAT/ACT scores below). However, our goal is not simply to be college-preparatory. We want to be kingdom-minded, preparing your child to be a critical thinker and able communicator who is capable of engaging the culture with Christ and His gospel throughout his or her life. Data is from the 2015 ACCS Member School Survey and The College Board. The ACCS average represents scores from 617 students at 57 schools. Source: 2015 ACCS Member School Survey.